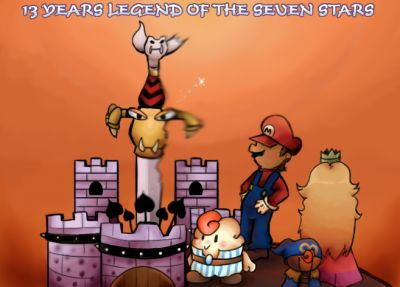 Well, I was particularly proud of this one, so I decided to upload it ^^; It's an early (anniversary is on May 15th) picture I made to celebrate Super Mario RPG's 13th anniversary (13 is not a special number, but I wasn't a fan by time the tenth anniversary was celebrated). Sooo... here you are. I love the texture you put into your artwork! Geno looks adorable! I love Mario RPG! And the smoothness is also great. The cartoony style looks good!